Satoru Tamura has created an oversized electric switch that creates sparks on a brass rod. The “Point of contact for Unna” illuminates a column of light bulbs. Tamura’s aim is to create a pure, self-reflective work without any further meaning. He views light as a phenomenon rather than as technology. 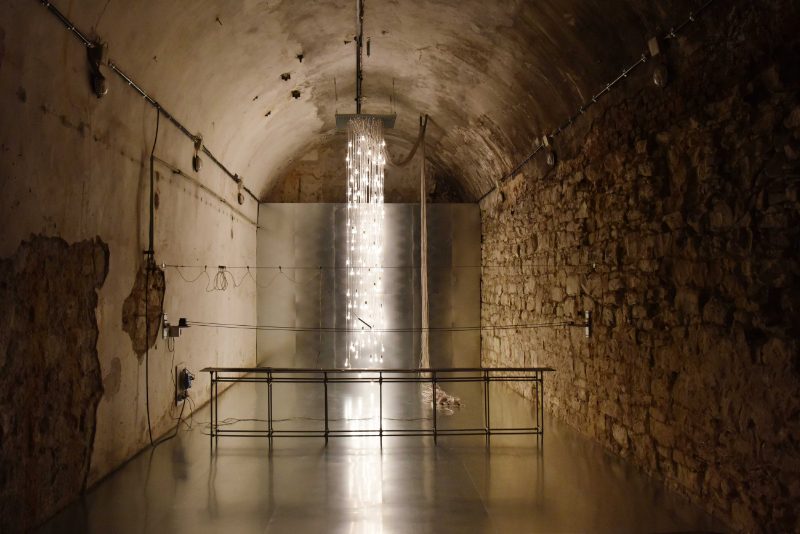 Point of Contact for Unna has won the International Light Art Award 2017, an initiative of the Centre for International Light Art Unna and Innogy Foundation to show works by emerging artists, who will contribute to the development of light art in an innovative and creative way. Satoru Tamura is a multimedia artist who creates sculptures, kinetic art, video works, installations with electricity and light. His artworks are based on the theme “destruction of meaning” to seek for artworks of a pure white idea with no background.